I look back on not just the last ten years but everything that I've done as being sort of an ongoing growing continual film school. 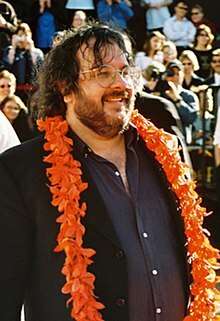 Sir Peter Robert Jackson ONZ, KNZM (born 31 October 1961) is a New Zealand filmmaker and screenwriter. He is best known as the director and producer of The Lord of the Rings trilogy (2001–03) and The Hobbit trilogy (2012–14), both of which are adapted from the novels of the same name by J. R. R. Tolkien. Remember, pain is temporary; film is forever. I don't take stuff seriously. I saw 'Hellraiser 3' the other day at Cannes; it's OK, it's a good film, I didn't hate it or anything. I thought it was quite good, but it was all just so serious. Some guy walking round with pins sticking out of his face. I just can't sit there and think ,'this is really scary.' If I made a 'Hellraiser' film, I'd like Pinhead to be whacked against a wall and have all the pins flattened into his face. And so I look back on not just the last ten years but everything that I've done as being sort of an ongoing growing continual film school. I mean I don't think I've got to a point where I've achieved anything that feels like, a particular milestone, but there's still a lot more to learn and hopefully a lot more films to make. I regard myself as an entertainer much more than an artist.